LEXINGTON, Ky. (Oct. 1, 2012) — Usher syndrome is a hereditary disease in which affected individuals lose both hearing and vision. The impact of Usher syndrome can be devastating. In the United States, approximately six in every 100,000 babies born have Usher syndrome. Several genes associated with different types of Usher syndrome have been identified. Most of these genes encode common structural and motor proteins that build sensory cells in the eye and inner ear. In a paper to be published in the November 2012 issue of Nature Genetics, a team of researchers from multiple institutions, led by Zubair M. Ahmed from the University of Cincinnati and Cincinnati Children's Hospital Medical Center, and including Gregory Frolenkov, associate professor in the University of Kentucky College of Medicine Department of Physiology, reported a novel type of gene associated with Usher syndrome - a calcium and integrin binding protein 2 (CIB2). 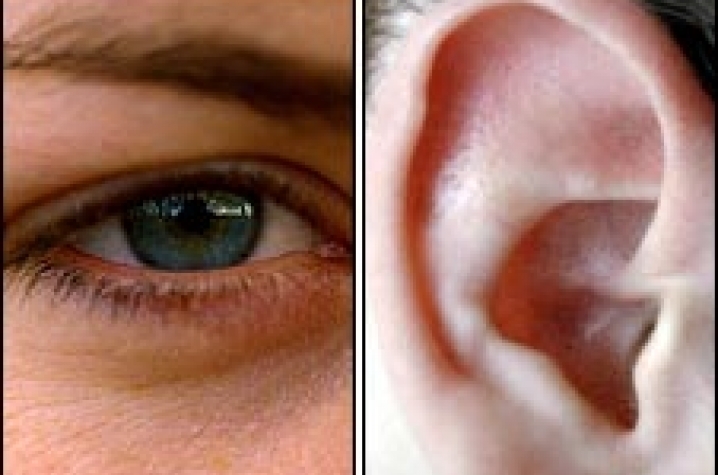 Zubair M. Ahmed, Saima Riazuddin, Thomas B. Friedman and their teams have identified this gene on chromosome 15 and determined that its mutations are responsible for nonsyndromic deafness and Usher syndrome type I. CIB2 was found to be interacting with other proteins associated with Usher syndrome. Suzanne Leal and her team at the Baylor College of Medicine found that in Pakistan, CIB2 mutations are one of the prevalent genetic causes of nonsyndromic hearing loss. Inna Belyantseva at the National Institute on Deafness and Other Communication Disorders, the National Institutes of Health, established that CIB2 is localized at the tips of mechanosensory stereocilia of the inner ear hair cells, exactly where the conversion of sound waves into electrical signals occurs. Frolenkov and his team at UK demonstrated that disease-associated mutations in CIB2 change the ability of this protein to bind intracellular calcium; in a zebra fish model, its loss disrupts mechanosensitivity in the hair cells. Furthermore, Tiffany Cook, Elke Buschback and their team at University of Cincinnati knockdown CIB2 analog in Drosophila (fruit fly) eyes and observed calcium-dependent degeneration of photoreceptors and loss of sensitivity to repetitive light pulses. All these data suggest that CIB2 is a common protein influencing intracellular calcium responses during conversion of light and sound into electrical signals. Future studies may target CIB2 to influence the progression and severity of Usher syndrome.